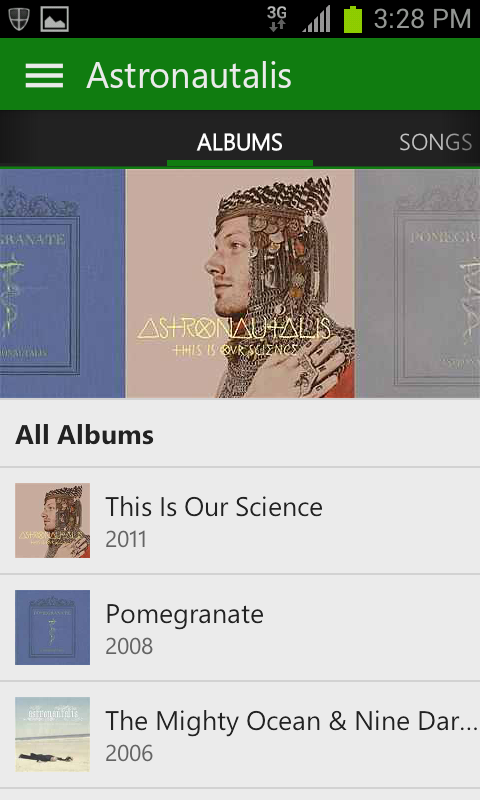 How does Xbox Music for iOS and Android stack up? Microsoft may appear late to the game with its music streaming service, but sadly, the opposite is true. Microsoft lead the way when it came to music streaming, which it offered way back when the Zune was still a word in the collective tech zeitgeist. Then … it did nothing. Zune died and Spotify emerged. Years later, Microsoft has finally fully rebranded the Zune Marketplace and Zune line of services and is trying to push its way back into the now crowded music streaming market. Xbox Music is the new name of Microsoft’s offering, and it’s finally available outside of the confines of Windows. The Xbox Music app gives you access to a robust collection of music, allowing them to build up playlists and instant mixes, as long as . The Web version of the app has also been opened up to all users, uprooting the previous subscribers-only model that was in place. This is handy, as it gives you the ability to instantly sync collections and playlists across all their devices, meaning an edit you apply in your Web browser will appear in the mobile app. You may want to do most of your playlist building on a bigger screen than your phone, because the album lists for artists are occasionally a mess. Dates for some albums appear wrong; there are single songs listed in the album section; and many songs have titles too long to display on most phone screens so you occasionally end up with a different version of a song than you expected. The extensiveness of the library is appreciated but the organization can be difficult to navigate. If you happen to find the music you want to play, make sure you have a stable Internet connection. There is no offline support, rendering the app useless when you spend any amount of time out of range of cell service. This is a strike against it, especially considering you’re paying for the service. There might not be too many times where you find yourself without Internet access, but there’s likely times where you’d rather not eat up your data plan to play music that other services would let you cache and play any time. Since there isn’t any real music discovery features within Xbox Music save for the simple search tool, and some fairly lackluster selections for related artists, the lack of an offline mode seems like a setback. Microsoft has stated that an offline mode will come in an update in the future, but why pay $10 a month to wait for support other services, like Spotify, already have? 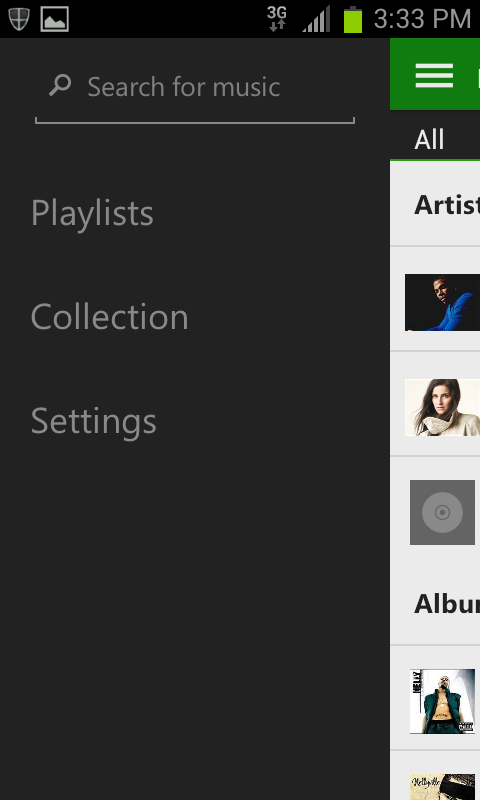 Aside from the offline features, Xbox Music is also has a glaring absence of social features. These used to be present back in the Zune days, but were stripped out of the service over the years. Now that Microsoft is returning to the competition we’d expect see these ideas reinstated to stay competitive with top dogs like Spotify, which seems to thrive off its social presence – even if you do get annoyed with all those updates of what your friends are listening to via your Facebook feed. Like the offline mode, social integration is another case of Microsoft promising these features will show up eventually, although we hope in an innovative way considering they’ve opted not start out playing from behind in this category. If there’s one advantage that Microsoft will have with this music service going forward, it’s the Xbox One. If the gaming console enjoys the success the Xbox 360 found and serves as the media hub that Microsoft would like to make it, this could work out. If you can at some point edit a music playlist on your phone, hit play, and hear it blast out through your home stereo system’s speakers as it plays off your Xbox, Microsoft may be on to something. Then again, if the Xbox One is in as many homes as its predecessor, we’d fully expect other services to embrace it and make apps that will work on the console. Microsoft suffered an unfortunate fate when it comes to music streaming. They were one of the first to test the waters with its Zune Music Pass service back in 2009. The market wasn’t ready at that point and Microsoft almost entirely abandoned the service to chase other endeavors. Now it’s 2013 and Microsoft is trying to get back into the game now that others are finally playing. In that down time, it fell way behind, and no one is going to remember or care about Zune enough to give Xbox Music a free pass. It seems like the company is taking a Google-like approach of announcing a service and then slowly rolling out features for it until it becomes an impressive product. If Xbox Music ever actually completes that climb, we’ll have to wait and see. But for the time being, the app seems like a simple offering that may have been competitive a few years ago, but not today. 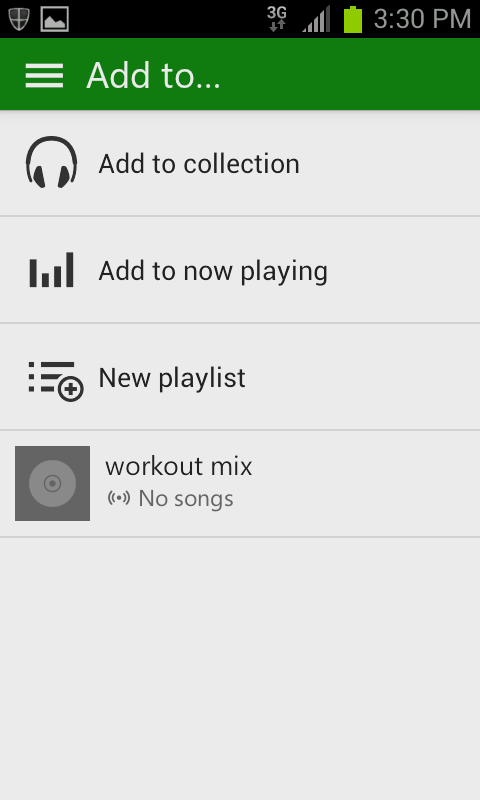 Xbox Music is available for free for iOS and Android, but it requires a monthly subscription of $10. Which 2015 Ford Mustang concept renderings circling the web gets your vote?